Dr. Steve Byrd, known as a caring and compassionate doctor, pediatric and adult plastic surgeon, researcher, lecturer, and inventor. 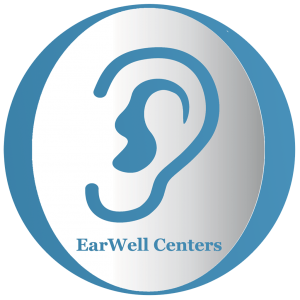 Dr. Byrd, is renowned globally as the inventor of the EarWell, a nonsurgical device to correct infant ear deformities. He has received recognition from his esteemed colleagues in the form of numerous awards, honors, Who’s Who in America, America’s Top Plastic Surgeons and voted one of the Best Doctors in America. 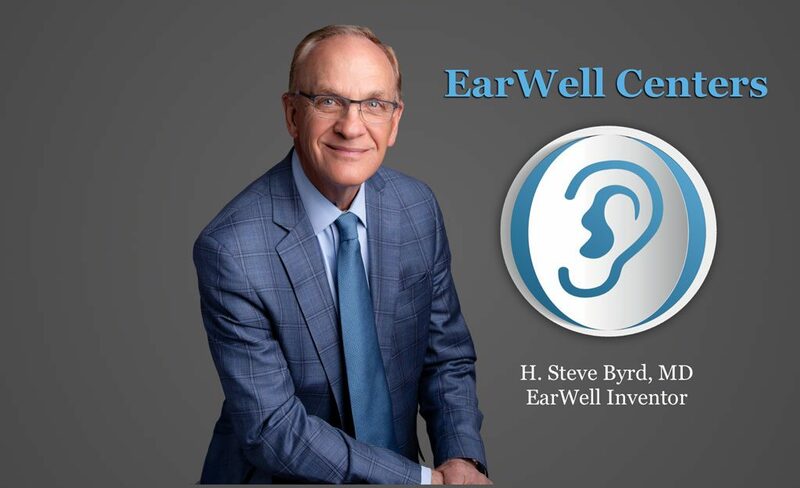 Dr. Steve Byrd, inventor of the “EarWell Infant Ear Correction System“, is an authority on infant ear molding to correct infant ear deformities. With over 30 years of experience in pediatric plastic surgery, Dr. Steve Byrd has a wealth of experience to share as director of the EarWell Centers of Texas. He is board certified by both the American Board of Surgery and the American Board of Plastic Surgery. Dr. Steve Byrd has been elected by his peers as one of the top plastic surgeons in the United States for the past 10 years. He was also nominated by Dallas / Fort Worth pediatricians as a leading pediatric plastic surgeon in the North Texas. Clinical Professor of Plastic Surgery, Department of Plastic Surgery, University of Texas Southwestern Medical Center, Dallas, Texas, 1979 – present. Dr. Steve Byrd, Byrd HS, Lazarus HM, Torma MJ: Effects of parenteral alimentation on postoperative gastric function. Am J Surg 130:688, 1975. Byrd HS: The use of subcutaneous axial fascial flaps in reconstruction of the head. Ann Plast Surg 4(3):191, 1980. Schaefer SD, Byrd HS, Holmes RE: Forehead and scalp reconstruction after wide-field resection of skin carcinoma. Arch Otolaryngol 106(11):680, 1980. Byrd HS, Cierny G III, Tebbetts JB: The management of open tibial fractures with associated soft-tissue loss: external pin fixation with early flap coverage. Plast Reconstr Surg 1981 68(1):73. Atkins RW, Byrd HS, Tebbetts JB: Some observations relative to the levator veli palatini muscles in the cleft palate. Cleft Palate J 19(4):267, 1982. Barton FE Jr, Spicer TE, Byrd HS: Head and neck reconstruction with the latissimus dorsi myocutaneous flap: anatomic observations and report of 60 cases. Plast Reconstr Surg 1983 71(2):199. Cierny G III, Byrd HS, Jones RE: Primary versus delayed soft tissue coverage for severe open tibial fractures. A comparison of results. Clin Orthop 178:54, 1983. Brent B, Byrd HS: Secondary ear reconstruction with cartilage grafts covered by axial, random, and free flaps of temporoparietal fascia. Plast Reconstr Surg 1983 72(2):141. Urschel HC Jr, Byrd HS, Sethi SM, Razzuk MA: Poland’s syndrome: improved surgical management. Ann Thorac Surg 37(3):204, 1984. Byrd HS, Spicer TE, Cierny G III: Management of open tibial fractures. Plast Reconstr Surg 1985 76(5):719. Byrd HS, Nee MP: Autogenous bone grafts to the face. Facial Plast Surg 1986 3(2):63. 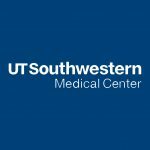 Byrd HS: Nasal reconstruction—trauma/tumor (hemangioma). In: Mustarde JC (ed), Plastic Surgery in Infancy and Childhood. Edinburgh, Churchill Livingstone, 1988. Byrd HS, Hobar PC: Abdominal wall expansion in congenital defects. Plast Reconstr Surg 1989 84(2):347. May JW Jr, Jupiter JB, Weiland AJ, Byrd HS: Clinical classification of post-traumatic tibial osteomyelitis. J Bone Joint Surg 71A(9):1422, 1989. Rohrich RJ, Byrd HS: Optimal timing of cleft palate closure. Speech, facial growth, and hearing considerations. Clin Plast Surg 17(1):27, 1990. Byrd HS: Temporoparietalis (superficial temporal artery) fascial flap. In: Strauch B, Vasconez LO, Hall-Findlay EJ (eds), Grabb’s Encyclopedia of Flaps. Boston, Little, Brown, 1990. Vol 1. Byrd HS, Barton FE Jr: Acquired deformities of the nose. In: McCarthy JG (ed), Plastic Surgery. Philadelphia, WB Saunders, 1990. Vol 3, pp 1924-2008. Byrd HS: Cleft lip. In: Smith JW, Aston SJ (eds), Grabb and Smith’s Plastic Surgery, 4th ed. Boston, Little, Brown, 1991. Ch 9, pp 271-286. Byrd HS, Hobar PC: Optimizing the management of secondary zygomatic fracture deformities. Aesthetic and functional considerations. Clin Plast Surg 19(1):259, 1992. Byrd HS, Hobar PC, Shewmake K: Augmentation of the craniofacial skeleton with porous hydroxyapatite granules. Plast Reconst Surg 1993 91(1):15. Byrd HS, Hobar PC: Dimensional analysis for planning genioplasty. In: Daniel RK (ed), Rhinoplasty. Boston, Little Brown, 1993. 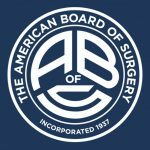 Byrd HS, Hobar PC: Rhinoplasty: a practical guide for surgical planning. Plast Reconstr Surg 1993 91(4):642. Hobar PC, Rohrich RJ, Byrd HS: Abdominal-wall reconstruction with expanded musculofascial tissue in a posttraumatic defect. Plast Reconstr Surg 1994 94(2):379. Byrd HS, Andochick SE: The deep temporal lift: a multiplanar, lateral brow, temporal, and upper face lift. Plast Reconstr Surg 1996 97(5):928. Byrd HS, Hobar PC: Alloplastic nasal and perialar augmentation. Clin Plast Surg 23(2):315, 1996. Friedman RM, Ingram AE Jr, Rohrich RJ, Byrd HS, Hodges PL, Burns AJ, Hobar PC: Risk factors for complications in pediatric tissue expansion. Plast Reconstr Surg 1996 98(7):1242. Graper RG, Orenstein HH, Rohrich RJ, Byrd HS, Rich BK: Idiopathic midline granuloma—current classification and management controversies. Ann Plast Surg 37(5):532, 1996. Byrd HS: The extended browlift. Clin Plast Surg 24(2):233,1997. Byrd HS, Andochick S, Copit S, Walton G: Septal extension grafts: a method of controlling tip projection, rotation, and shape. Plast Reconstr Surg 1997 100(4):999. Byrd HS: Unilateral cleft lip. In: Grabb and Smith’s Plastic Surgery, 5th ed. Philadelphia, Lippencott-Raven, 1997. Ch 21, pp 245-254. Byrd HS, Salomon J: Endoscopic midface rejuvention. In: Culbertson JH, Jr(ed), Operative Techniques in Plastic and Reconstructive Surgery. Philadelphia, WB Saunders, 1998. Vol 5(2) pp 138-144. Byrd HS, Salomon J, Flood J: Correction of the crooked nose. Plast Reconstr Surg 1998 102(6):2148. Schwartz RJ, Burns AJ, Rohrich RJ, Barton FE Jr, Byrd HS: Long-term assesment of CO2 facial laser resurfacing: aesthetic results and complications. Plast Reconstr Surg 1999 Feb 103(2):592-601. Burt JD, Byrd HS: Cleft lip: unilateral primary deformities. Plast Reconstr Surg 2000 Mar 105(3):1043-55; quiz 1056-7;Review. Burt JD, Burns AJ, Muzaffar AR, Byrd HS, Hobar PC, Beran SI, Adams WP Jr, Kenkel JM: Total soft-tissue reconstruction of the middle and lower face with multiple simultaneous free flaps in a pediatric patient. Plast Reconstr Surg 2000 Jun 105(7):2440-7. Rohrich RJ, Love EJ, Byrd HS, Johns DF: Optimal timing of cleft palate closure. Plast Reconstr Surg 2000 Aug 106(2):413-21;quiz 422;discussion 423-5;Review. Hobar PC, Pantaloni M, Byrd HS: Porous hydrozyapatite granules for alloplastic enhancement of the facial region. Clin Plast Surg 2000 Oct;27(4);557-69. Byrd HS, Salomon J: Primary correction of the unilateral cleft nasal deformity. Plast Reconstr Surg 2000 Nov 106(6):1276-86. Byrd HS: Secondary Rhinoplasty (Expert Exchange). In: Saleh M. Shenaq(ed), Perspectives in Plastic Surgery. New York, Thieme,2000 Vol 14(1)pp 87-100. Byrd HS: Use of Resorbable Spacers for Nasal Spreader Grafts (Discussion). Plast Reconstr Surg 2000 Sept 106(4):929. Byrd,HS Morphologically prone nasal tip. Operative Techniques in Plastic and Recst Surgery Nov 2000. Vol 7(4)pp 208-212. Byrd HS, The deviated nose (panel discussion, moderator). Aesthetic Surgery Journal May/June 2001. Vol 21(3)pp 247-254. Byrd HS, Achieving aesthetic balance in the brow, eyelids, and midface. Plast Reconstr Surg 2002 Sept 110(3)926. 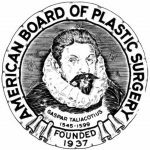 Byrd HS, Barton FE, Orenstein HH, Rohrich RJ; Burns AJ, Hobar PC, Haydon MS Safety and efficacy in an accredited outpatient plastic surgery facility: a review of 5316 consecutive cases. Plast Reconstr Surg 2003 Aug 112(2)636-41l duscyssuib 642-6. Byrd HS, Endoscopically Assisted Malarplasty: One Incision and Two dissection Planes (Discussion) Plast Reconstr Surg 2003 Jan 111(1)468. Byrd HS, Septal extension grafts revisited: 6-year experience in controlling nasal tip projection and shape. Plast Reconstr Surg 2003 Dec 112(7)1929-35. Byrd HS, Ha, RY, Septal Extension Grafts Revisited: 6-year Experience in Controlling Nasal Tip Projection and Shape. Plastic and Reconstructive Surgery, 112, 1929-35, 2003.